Squeeze the juice from 1 ½ lemon into a medium size bowl. Mince 2 garlic cloves and whisk them into the juice along with olive oil, salt & black pepper. Place chicken cutlets in this marinade and “massage” them a bit. Allow the chicken to marinate for at least 15 min if you are in a hurry but no longer than 2 hours. Preheat the oven to 400 F and line your baking tray with foil. Once chicken is done marinating, fill and roll each cutlet with a slice of tomato, tablespoon of shredded cheese and a little bit of minced garlic. You can seal your roll with toothpick if necessary. Place your roll-ups on a baking tray and bake them for 20-25 minutes. When we say lean protein we think chicken breast…chicken breast…chicken breast… But oh my, how many of you are sick and tired of that tasteless dry piece of white meat? Pretty much everyone, right! So I’ve got the solution for you. 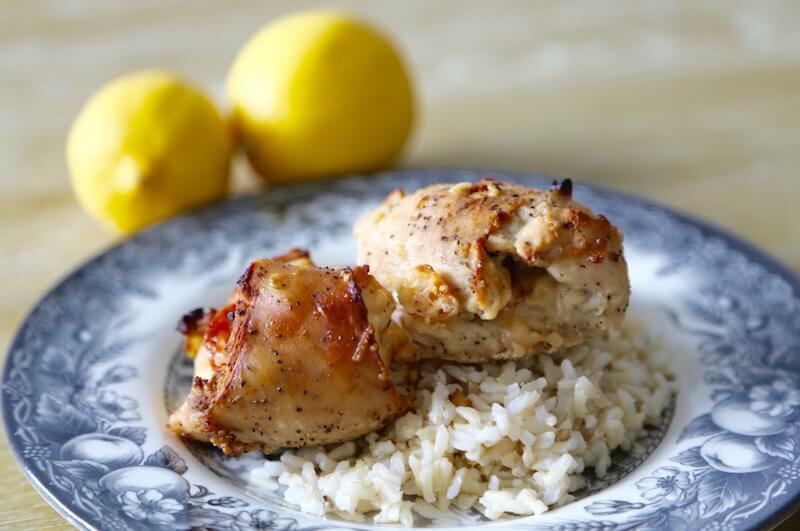 Here is a pretty creative and almost fancy way to fall in love with chicken breast again without compromising its “dietetic” qualities. 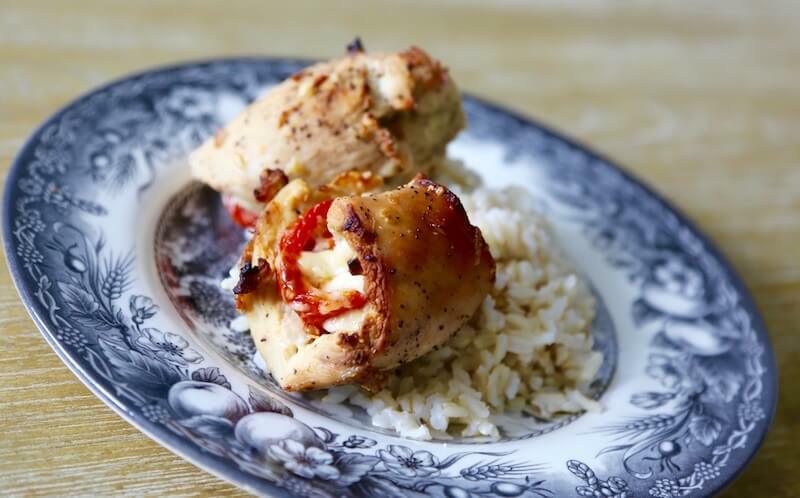 Please welcome our newest addition to “In Love With Fitness” Recipe Book – Lemon Chicken Roll-Ups with Tomato & Cheese! Even with the dish looking so damn cute, we are not cheating on our main principles of simplicity and spending as little time on cooking as possible. That’s why we allow our chicken to marinade for just 15 minutes while we are shredding the cheese and slicing tomato. Because, honestly, who would want to spend more time on cooking something than on eating it? Our Lemon Chicken Roll-Ups with Tomato & Cheese deserve to be served for a special occasion as much as to be taken to work in a lunch box! They are healthy, pretty looking and super yummy at the same time. Pair these roll-ups with a side of whole grains (like wild/brown rice, barley, buckwheat), wholegrain pasta, quinoa, grilled veggies or salad.